Feeling more like spring.....no more winter! Keep an eye out for my little butterfly patterns! This pattern is pictured using DMS Coloris Variegated Floss. The color I used is Jingle Bells (#4519). I LOVE how the variegated floss adds tons of demension and visual interest, but this pattern also looks striking as a blackwork pattern, or with any color you desire. The pattern requires uses whole stitching and backstitching, and is recommended for an advanced beginner. Finished size of pattern: 4 x 4 (inches), and fits neatly into a six inch hoop for easy framing. 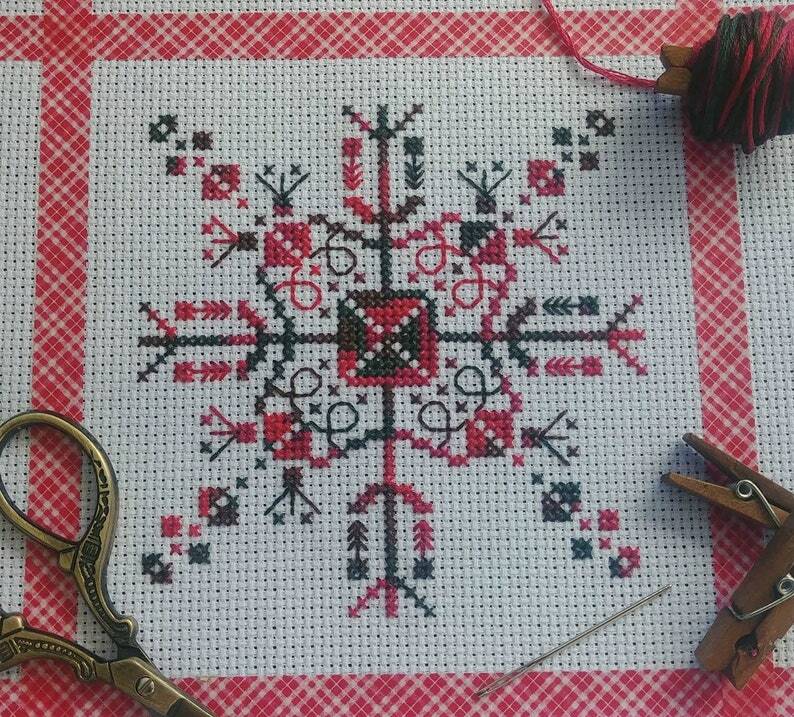 This pattern design is pictured on 14 count white Aida.